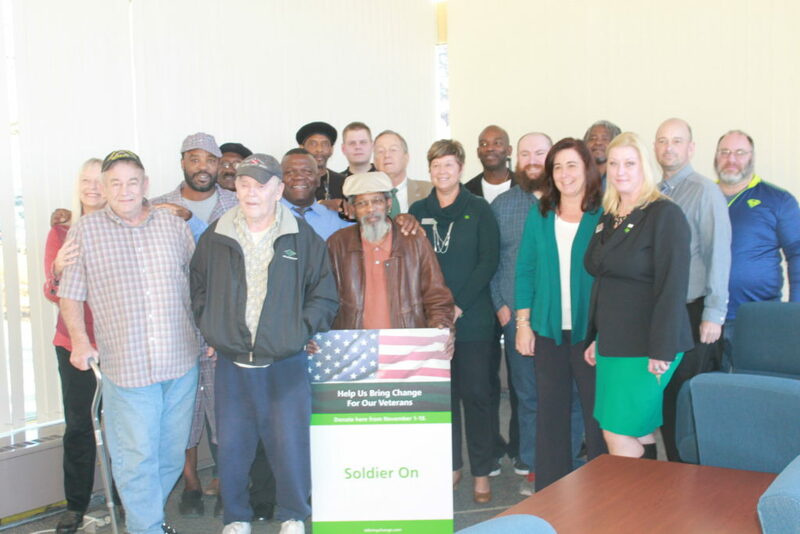 Soldier On was privileged enough to be the beneficiary of the TD Bank November Bring Change program at their West Street and Merrill Road store locations in Pittsfield, MA. The program ran from November 1st-18th. On Friday, November 18th Soldier On was presented with a $5,580.00 donation from the campaign. Residents and staff from Soldier On went to the West Street location to accept the donation. TD Bank through its charitable giving arm, the TD Charitable Foundation carries a legacy of supporting non-profit organizations. Since its inception in 202, the foundation has contributed over $160 million in grant funding to organizations in the communities where TD works, lives, and does business. Soldier On was busy during the weekend of Veterans Day. Below is a recap of the various events that Soldier On participated in. 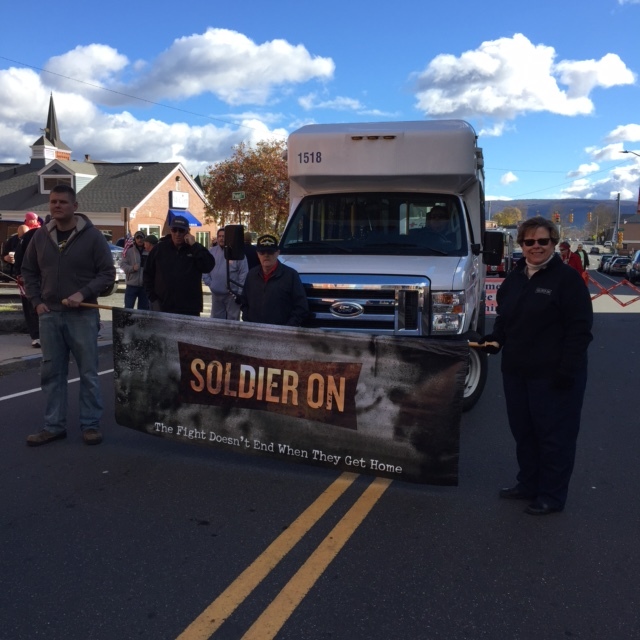 Friday morning Soldier On staff and residents walked in the Pittsfield and Northampton Parades. Soldier On’s kitchen held a prime-rib lunch at the West Housatonic Street location in Pittsfield. In addition the kitchen partook in Springside Rehabilitation & Skilled Care Center‘s Chili Cook-Off. Local restaurants participated in the cook-off: Friends Grille, Hot Dog Ranch, Matt Reilly’s Pub, Patrick’s Pub, PortSmitt’s Lakeway, Zucchini’s Restaurant, and Zuke’s Soups and Variety. The winners were: 1st Place Kim Brophy, 2nd Sprinside, 3rd Soldier On. All proceeds raised were donated to Soldier On. Friday afternoon Soldier On former and current residents; Kevin, Russell, Louann, and Corinne spoke at Norman Rockwell Museum’s Veterans Day: Afloat and Ashore: Rockwell’s Soldiers. 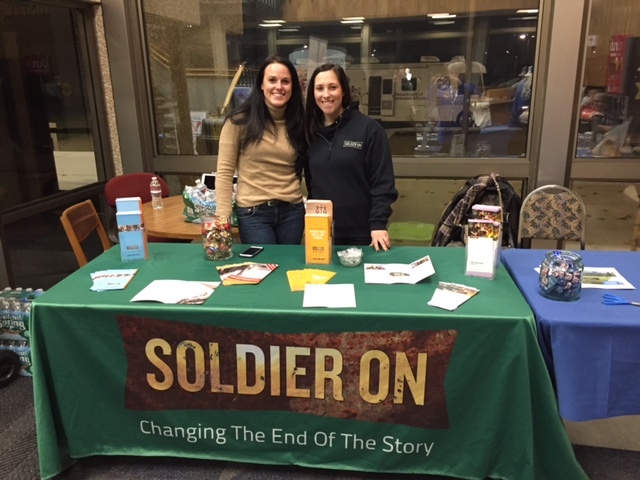 Friday evening Sarah Polidore and Casey DiCicco attended a veterans resource fair at Westfield State University. 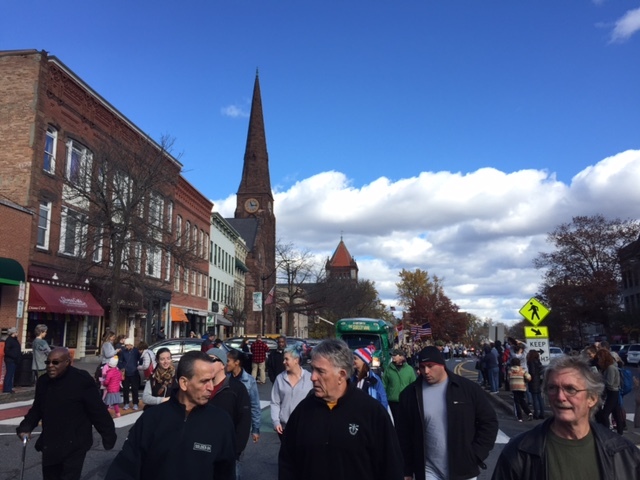 The fair was held prior to the football game against Western Connecticut State University. In addition to it being military appreciation night it was also senior night. SSVF staff Barbara Parker-Thornton, Preston Williams, Greg Morgan, Robert Payne, Sheron Brown-Gorden, Alvin Buckley, Margaret Johnson and Michael Cohen served Veterans Day lunch to the participants in the Soldier On Statewide Incarcerated Veterans Program at Central Mississippi Correctional Facility in Pearl, Mississippi. Additionally, Alvin Buckley participated in the annual Veterans Day Liberty Luncheon at the Vicksburg Convention Center in Vicksburg. 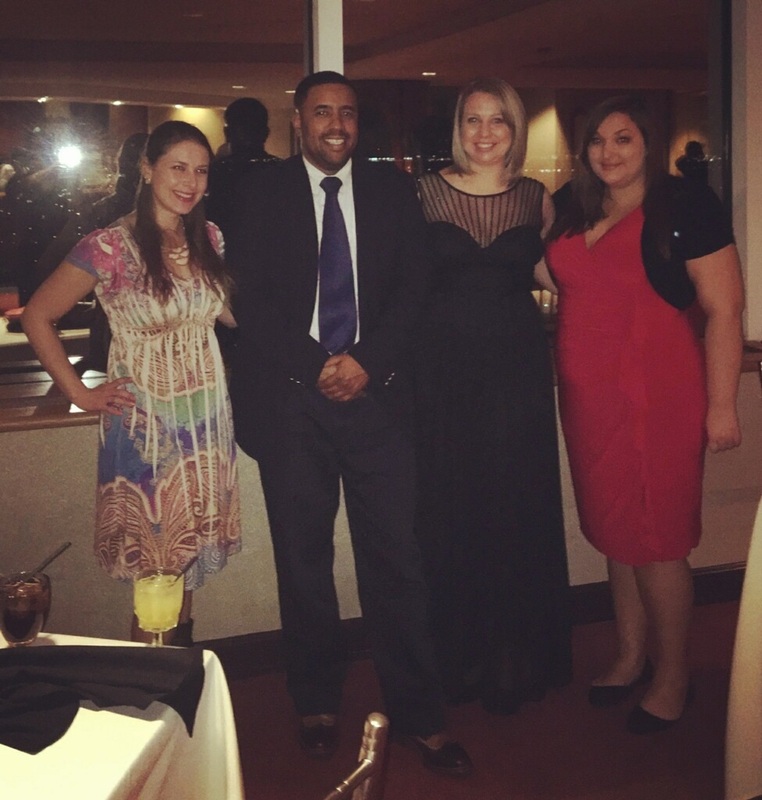 On Friday evening SSVF staff Jill Lombardozzi, Jose Bracero, Traci Herrman and Jennifer Marshall attended the GI Go Fund Veterans Day Gala in Newark. Raymour & Flanigan in West Springfield presented Soldier On with a $500 check from their Community Event Outreach Program. In addition the store held a raffle where a $5 donation to Soldier On would allow the customer to be entered into a drawing for a $200.00 gift certificate to Raymour & Flanigan. Soldier On staffed a table during the peak shopping hours on Saturday; Sarah Polidore and Casey DiCicco worked in the morning while Sabrina Willard and Netshari Ortiz worked in the afternoon. The 9th Annual Central New York Veterans Parade and Expo was held on Saturday. CNY SSVF staff William Brown, Ilian Galan, and Chris Shortell attended the expo which was in the Center of Progress Building in Syracuse. 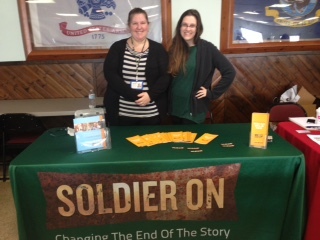 Seneca County Veterans Service Agency hosted “Stand Down 2016” at the VFW in Waterloo where Jessica Brooks and Meadow McDowell set up a table at the event. The American Legion Women’s Auxiliary Unit #155 in Dalton held their annual Veterans Dinner Dance. 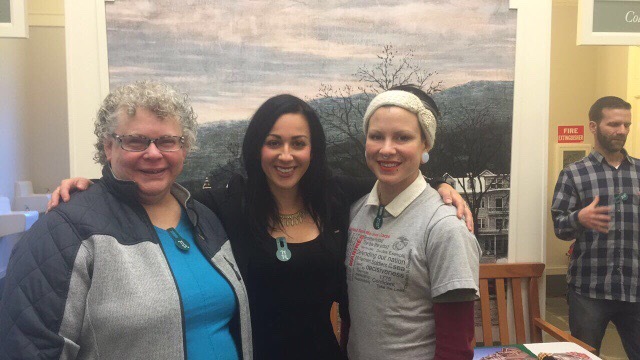 In addition to Soldier On residents attending the following staff were present: Sam Bennett, Sandi Lussier (her husband was in attendance), Steve Como, and Sarah Polidore (her husband was in attendance). 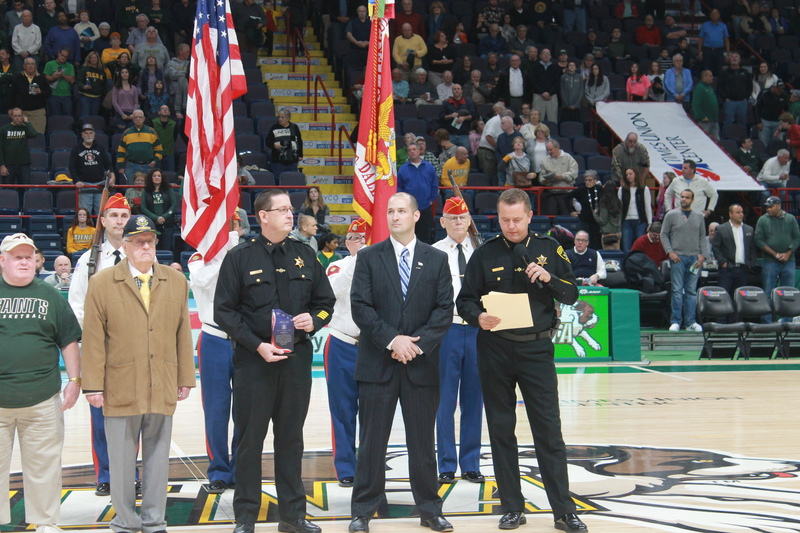 Albany County Sheriff’s Office presented Soldier On with the Patriotism Recognition Award at the Siena College men’s basketball game against Cornell University. Dominick Sondrini, New York SSVF Supervisor, accepted the award and spoke on behalf of Soldier On. 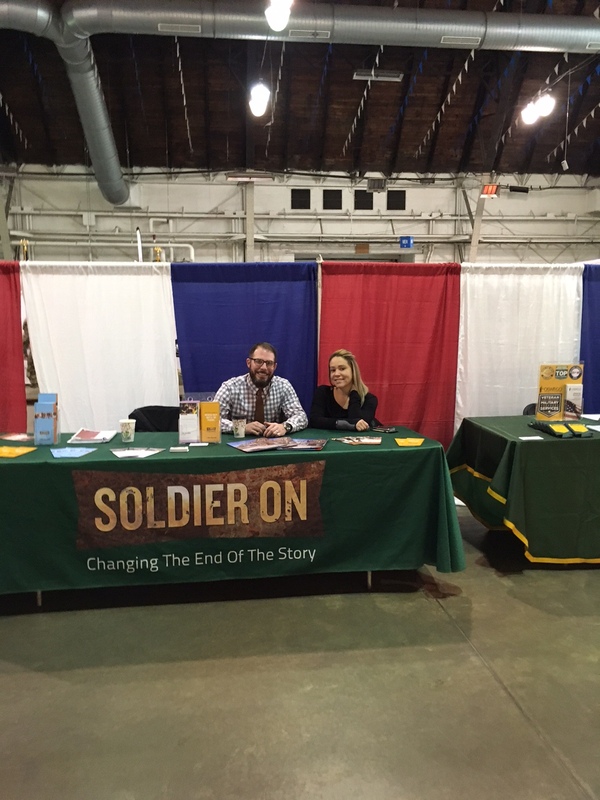 Prior to the game Katrina Middleton set up a table providing information on Soldier On in the main concourse of the Times Union Center.